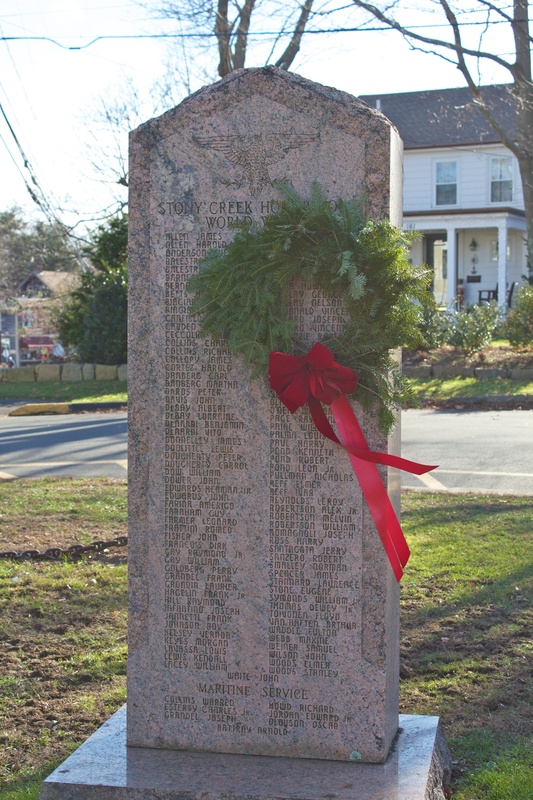 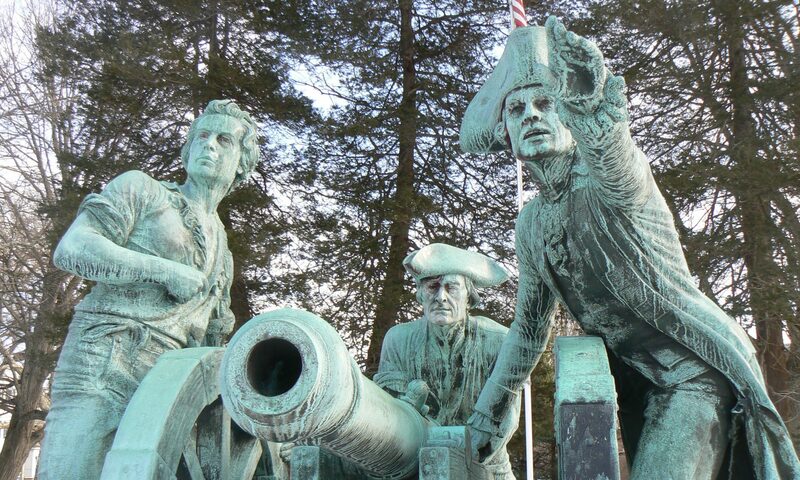 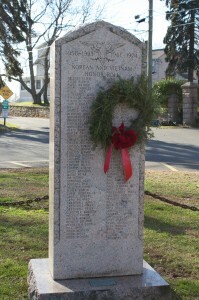 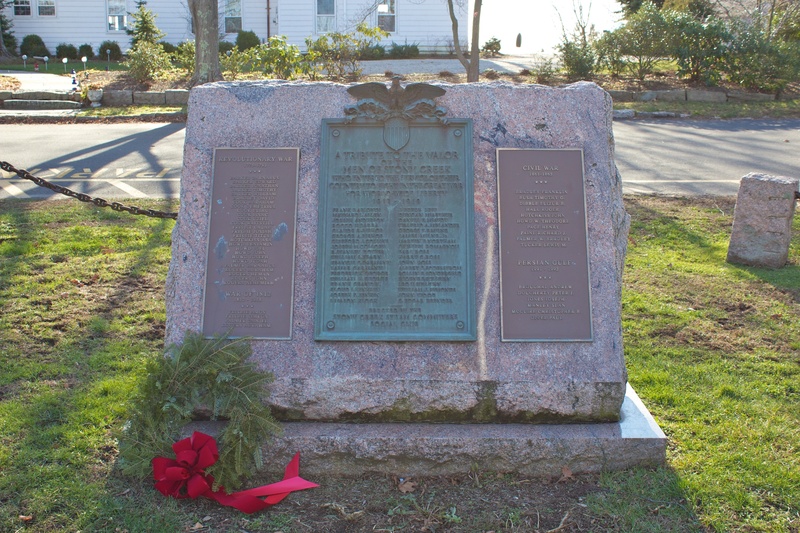 War veterans from the Stony Creek section of Branford are honored with monuments on a small green. 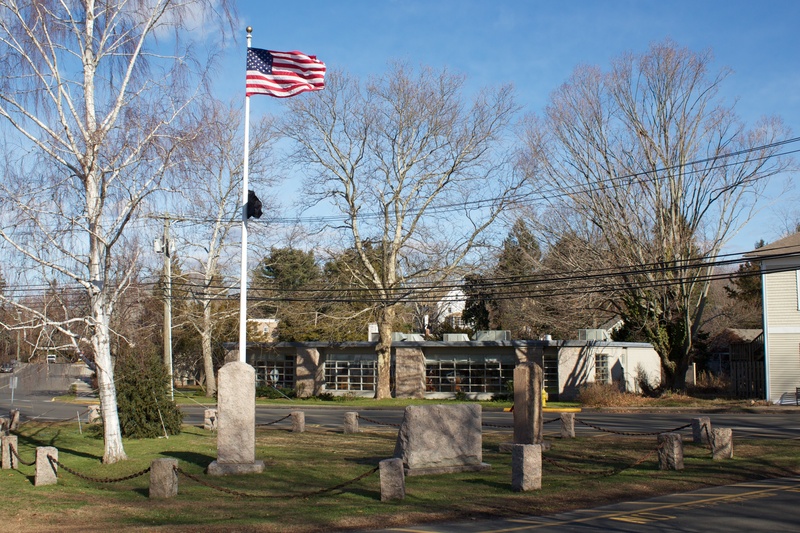 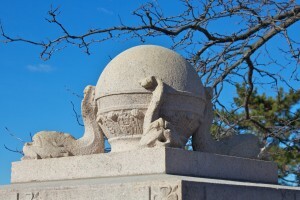 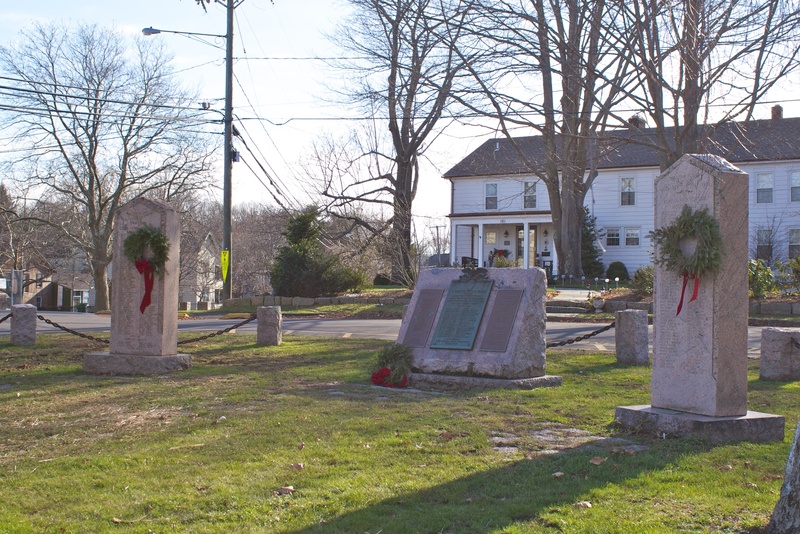 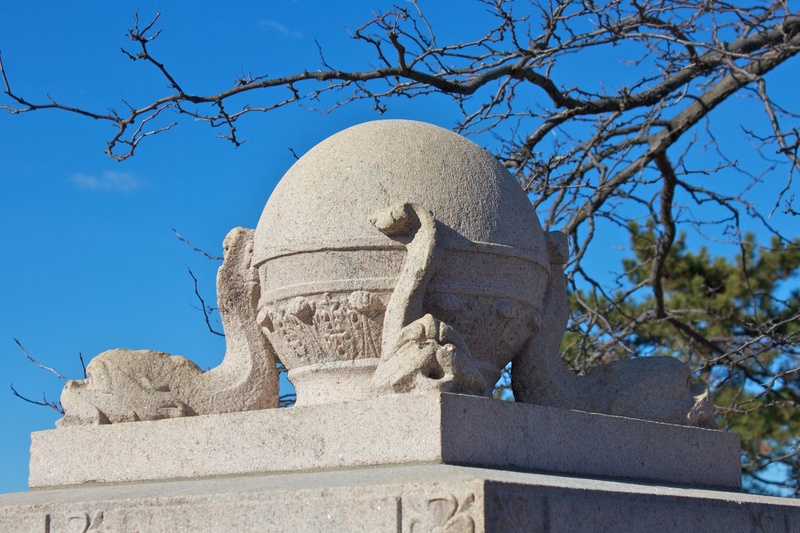 The green, at the intersections of Halls Point, Sachem and Thimble Islands roads, features three monuments made from the pink granite for which Stony Creek is well known. 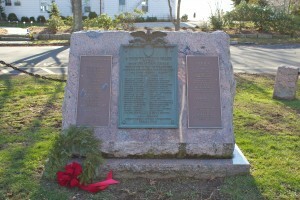 The World War I memorial is flanked by a plaque listing 26 American Revolution veterans and four veterans of the War of 1812, as well as a plaque listing 10 Civil War veterans and six veterans of the 1991 Persian Gulf War. 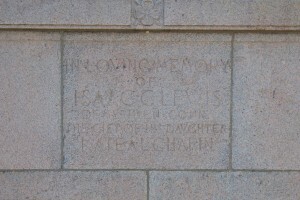 An undated pink granite Honor Roll monument to the east of the World War I memorial lists two columns of names of local World War II veterans. A pink granite monument to the west of the World War I monument, dedicated in 1976, honors veterans of Korea and Vietnam. 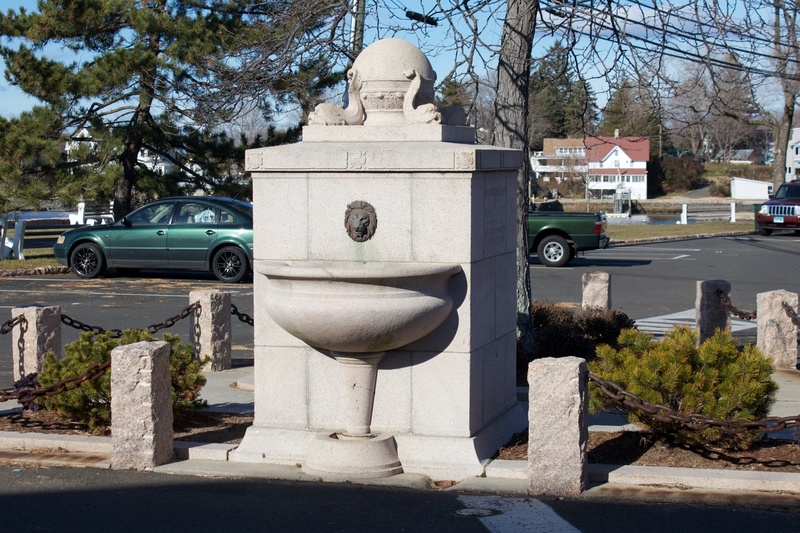 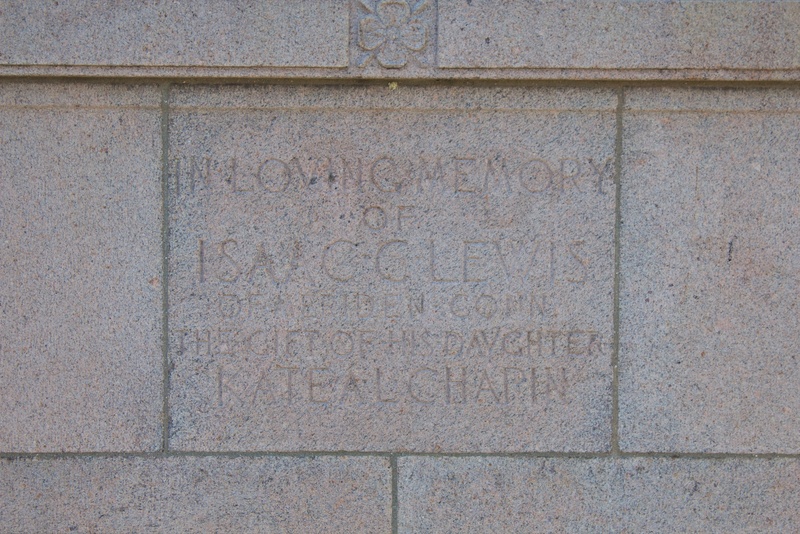 A short distance from the war monuments, a memorial fountain honors industrialist and part-time Stony Creek resident Isaac C. Lewis. 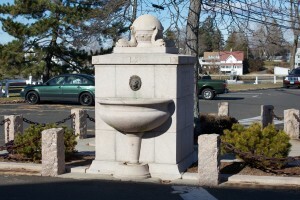 Isaac Lewis founded a Meriden company that manufactured plated tableware, represented Meriden in the state legislature and served as the city’s mayor. His Stony Creek house, which stands today, was listed on the National Register of Historic Places in 1997.